March | 2016 | VAMboozled! A few weeks ago in Education Week, Stephen Sawchuk and Emmanuel Felton wrote a post in the its Teacher Beat blog about lawmakers, particularly in the southern states, who are beginning to reconsider, via legislation, the role of test scores and value-added measures in their states’ teacher evaluation systems. Perhaps the tides are turning. I tweeted this one out, but I also pasted this (short) one below to make sure you all, especially those of you teaching and/or residing in states like Georgia, Oklahoma, Louisiana, Tennessee, and Virginia, did not miss it. After years of fierce debates over effectiveness and fairness of the methodology, several southern lawmakers are looking to minimize the weight placed on so called value-added measures, derived from how much students’ test scores changed, in teacher-evaluation systems. In February, the Georgia Senate unanimously passed a bill that would reduce the student-growth component from 50 percent of a teachers’ evaluation down to 30 percent. Earlier this week, nearly 30 individuals signed up to speak on behalf fo the bill at a State House hearing. Similarly, Louisiana House Bill 479 would reduce student-growth weight from 50 percent to 35 percent. Tennessee House Bill 1453 would reduce the weight of student-growth data through the 2018-2019 school year and would require the state Board of Education to produce a report evaluating the policy’s ongoing effectiveness. Lawmakers in Florida, Kentucky, and Oklahoma have introduced similar bills, according to the Southern Regional Education Board’s 2016 educator-effectiveness bill tracker. By and large, states adopted these test-score centric teacher-evaluation systems to attain waivers from No Child Left Behind’s requirement that all students by proficient by 2014. To get a waiver, states had to adopt systems that evaluated teachers “in significant part, based on student growth.” That has looked very different from state to state, ranging from 20 percent in Utah to 50 percent in states like Alaska, Tennessee, and Louisiana. No Child Left Behind’s replacement, the Every Student Succeeds Act, doesn’t require states to have a teacher-evaluation system at all, but, as my colleague Stephen Sawchuk reported, the nation’s state superintendents say they remain committed to maintaining systems that regularly review teachers. An researcher from Brown University — Matthew Kraft — and his student, recently released a “working paper” in which I think you all will (and should) be interested. The study is about “…Teacher Effects on Complex Cognitive Skills and Social-Emotional Competencies” — those effects that are beyond “just” test scores (see also a related article on this working piece released in The Seventy Four). This one is 64-pages long, but here are the (condensed) highlights as I see them. The researchers use data from the Bill & Melinda Gates Foundations’ Measures of Effective Teaching (MET) Project “to estimate teacher effects on students’ performance on cognitively demanding open-ended tasks in math and reading, as well as their growth mindset, grit, and effort in class.” They find “substantial variation in teacher effects on complex task performance and social-emotional measures. [They] also find weak relationships between teacher effects on state standardized tests, complex tasks, and social-emotional competencies” (p. 1). More specifically, researchers found that: (1) “teachers who are most effective at raising student performance on standardized tests are not consistently the same teachers who develop students’ complex cognitive abilities and social-emotional competencies” (p. 7); (2) “While teachers who add the most value to students’ performance on state tests in math do also appear to strengthen their analytic and problem-solving skills, teacher effects on state [English/language arts] tests are only moderately correlated with open-ended tests in reading” (p. 7); and (3) “[T]eacher effects on social-emotional measures are only weakly correlated with effects on state achievement tests and more cognitively demanding open-ended tasks (p. 7). The ultimate finding, then, is that “teacher effectiveness differs across specific abilities” and definitions of what it means to be an effective teacher (p. 7). Likewise, authors concluded that really all current teacher evaluation systems, also given those included within the MET studies are/were some of the best given the multiple sources of data MET researchers included (e.g., traditional tests, indicators capturing complex cognitive skills and social-emotional competencies, observations, student surveys), are not mapping onto similar definitions of teacher quality or effectiveness, as “we” have and continue to theorize. Hence, attaching high-stakes consequences to data, especially when multiple data yield contradictory findings as based on how one might define effective teaching or its most important components (e.g., test scores v. affective, socio-emotional effects), is (still) not yet warranted, whereby an effective teacher here might not be an effective teacher there, even if defined similarly in like schools, districts, or states. As per Kraft, “while high-stakes decisions may be an important part of teacher evaluation systems, we need to decide on what we value most when making these decisions rather than just using what we measure by default because it is easier.” Ignoring such complexities will not make standard, uniform, or defensible some of the high-stakes decisions that some states are still wanting to attach to such data derived via multiple measures and sources, given data defined differently even within standard definitions of “effective teaching” continue to contradict one another. Accordingly, “[q]uestions remain about whether those teachers and schools that are judged as effective by state standardized tests [and the other measures] are also developing the skills necessary to succeed in the 21st century economy.” (p. 36). Likewise, it is not necessarily the case that teachers defined as high value-added teachers, using these common indicators, are indeed high value-added teachers given they are the same teachers defined as low value-added teachers when different aspects of “effective teaching” are also examined. Ultimately, this further complicates “our” current definitions of effective teaching, especially when those definitions are constructed in policy arenas oft-removed from the realities of America’s public schools. Reference: Kraft, M. A., & Grace, S. (2016). Teaching for tomorrow’s economy? Teacher effects on complex cognitive skills and social-emotional competencies. Providence, RI: Brown University. Working paper. My most recent post about the state of New Mexico (here) included an explanation of a New Mexico Judge’s ruling to postpone New Mexico’s state-wide teacher evaluation trial until October 2016, with the state’s December 2015 preliminary injunction (described here) in place until (at least) then. New Mexico’s Public Education Department (PED) recently, however, also tried to appeal the Judge’s October 2016 injunction, and took it to New Mexico’s Court of Appeals for an emergency review of the Judge’s injunction order. The state and its PED lost, again. Here is the court order, which essentially says that the appeal was denied, and pasted below is the press release, released by the American Federation of Teachers New Mexico and Albuquerque Teachers Federation (i.e., the plaintiffs in this case). “We are not surprised by today’s decision of the New Mexico Court of Appeals denying the New Mexico Public Education Department’s request for an interlocutory – or emergency – review of District Court Judge David Thomson’s injunction order. The December 2015 injunction preventing the PED from using its faulty evaluation system to penalize educators was well reasoned and the product of a fair and lengthy series of hearings over four months. “We have maintained throughout this process that while the PED has every right to pursue all legal options under our judicial system, these frequent attempts at disrupting the progress of this case are nothing more than an attempt to stall the momentum of our efforts to seek relief for New Mexico’s education community. “With this order, the case returns to Judge Thomson for final testimony from our expert witnesses, and we are pleased that the temporary injunction granted in December of 2015 will remain in place until at least October of 2016, when AFT NM and ATF will seek to make the injunction permanent,” said Ly and Bernstein. Many of you will recall a post I made public in January including “Houston Lawsuit Update[s], with Summar[ies] of Expert Witnesses’ Findings about the EVAAS” (Education Value-Added Assessment System sponsored by SAS Institute Inc.). What you might not have recognized since, however, was that I pulled the post down a few weeks after I posted it. Here’s the back story. In January 2016, the Houston Federation of Teachers (HFT) published an “EVAAS Litigation Update,” which summarized a portion of Dr. Jesse Rothstein’s expert report in which he conclude[d], among other things, that teachers do not have the ability to meaningfully verify their EVAAS scores. He wrote that “[a]t most, a teacher could request information about which students were assigned to her, and could read literature — mostly released by SAS, and not the product of an independent investigation — regarding the properties of EVAAS estimates.” On January 10, 2016, I posted the post: “Houston Lawsuit Update, with Summary of Expert Witnesses’ Findings about the EVAAS” summarizing what I considered to be the twelve key highlights of HFT’s “EVAAS Litigation Update,” in which I highlighted Rothstein’s above conclusions. Lawyers representing SAS Institute Inc. charged that this post, along with the more detailed “EVAAS Litigation Update” I summarized within the post (authored by the Houston Federation of Teachers (HFT) to keep their members in Houston up-to-date on the progress of this lawsuit) violated a protective order that was put in place to protect SAS’s EVAAS computer source code. Even though there is/was nothing in the “EVAAS Litigation Update” or the blog post that disclosed the source code, SAS objected to both as disclosing conclusions that, SAS said, could not have been reached in the absence of a review of the source code. They threatened HFT, its lawyers, and its experts (myself and Dr. Rothstein) with monetary sanctions. HFT went to court in order to get the court’s interpretation of the protective order and to see if a Judge agreed with SAS’s position. In the meantime, I removed the prior post (which is now back up here). The great news is that the Judge found in HFT’s favor. He found that neither the “EVAAS Litigation Update” nor the related blog post violated the protective order. Further, he found that “we” have the right to share other updates on the Houston lawsuit, which is still pending, as long as the updates do not violate the protective order still in place. This includes discussion of the conclusions or findings of experts, provided that the source code is not disclosed, either explicitly or by necessary implication. In more specific terms, as per his ruling in his Court Order, the judge ruled that SAS Institute Inc.’s lawyers “interpret[ed] the protective order too broadly in this instance. Rothstein’s opinion regarding the inability to verify or replicate a teacher’s EVAAS score essentially mimics the allegations of HFT’s complaint. The Litigation Update made clear that Rothstein confirmed this opinion after review of the source code; but it [was] not an opinion ‘that could not have been made in the absence of [his] review’ of the source code. Rothstein [also] testified by affidavit that his opinion is not based on anything he saw in the source code, but on the extremely restrictive access permitted by SAS.” He added that “the overly broad interpretation urged by SAS would inhibit legitimate discussion about the lawsuit, among both the union’s membership and the public at large.” That, also in his words, would be an “unfortunate result” that should, in the future, be avoided. Thomas Kane, an economics professor from Harvard University who also directed the $45 million worth of Measures of Effective Teaching (MET) studies for the Bill & Melinda Gates Foundation, has been the source of multiple posts on this blog (see, for example, here, here, and here). He is consistently backing, with his Harvard affiliation in tow, VAMs, as per a series of exaggerated, but as he argues, research-based claims. However, much of the work that Kane cites, he himself has written on the topic (sometimes with coauthors). Likewise, the strong majority of these works have not been published in peer reviewed journals, but rather as technical reports or book chapters, often in his own books (see for example Kane’s curriculum vitae (CV) here). This includes the technical reports derived via his aforementioned MET studies, now in technical report and book form, but now completed three years ago in 2013, and still not externally vetted and published in any said journal. Lack of publication of the MET studies might be due to some of the methodological issues within these particular studies, however (see published and unpublished, (in)direct criticisms of these studies here, here, and here). Although Kane does also cite some published studies authored by others, again, in support of VAMs, the studies Kane cites are primarily/only authored by econometricians (e.g., Chetty, Friedman, and Rockoff) and, accordingly, largely unrepresentative of the larger literature surrounding VAMs. With that being said, and while I do try my best to stay aboveboard as an academic who takes my scholarly and related blogging activities seriously, sometimes it is hard to, let’s say, not “go there” when more than deserved. Now is one of those times for what I believe is a fair assessment of one example of Kane’s unpublished and externally un-vetted works. Last week on National Public Radio (NPR), Kane was interviewed by Eric Westervelt in a series titled “There Is No FDA For Education. Maybe There Should Be.” Ironically, in 2009 I made this claim in an article that I authored and that was published in Education Leadership. I began the piece noting that “The value-added assessment model is one over-the-counter product that may be detrimental to your health.” I ended the article noting that “We need to take our education health as seriously as we take our physical health…[hence, perhaps] the FDA approach [might] also serve as a model to protect the intellectual health of the United States. [It] might [also] be a model that legislators and education leaders follow when they pass legislation or policies whose benefits and risks are unknown” (Amrein-Beardsley, 2009). Never did I foresee, however, how much my 2009 calls for such an approach similar to Kane’s recent calls during this interview would ironically apply, now, and precisely because of academics like Kane. In other words, ironic is that Kane is now calling for “rigorous vetting” of educational research, as he claims is being done with medical research, but those rules apparently do not apply to his own work, and the scholarly works he perpetually cites in favor of VAMs. Take also, for example, some of the more specific claims Kane expressed in this particular NPR interview. Kane claims that “The point of education research is to identify effective interventions for closing the achievement gap.” Although elsewhere in the same interview Kane claims that “American education research [has also] mostly languished in an echo chamber for much of the last half century.” While NPR’s Westervelt criticizes Kane for making a “pretty scathing and strong indictment” of America’s education system, what Kane does not understand writ large is that the very solutions for which Kane advocates – using VAM-based measurements to fire and hire bad and good teachers, respectively – are really no different than the “stronger accountability” measures upon which we have relied for the last 40 years (since the minimum competency testing era) within this alleged “echo chamber.” Kane himself, then, IS one of the key perpetrators and perpetuators of the very “echo chamber” of which he speaks, and also scorns and indicts. Kane simply does not realize (or acknowledge) that this “echo chamber” continues in its persistence because of those who continue to preserve a stronger accountability for educational reform logic, and who continue to reinvent “new and improved” accountability measures and policies to support this logic, accordingly. Kane also claims that he does not “point fingers at the school officials out there” for not being able to reform our schools for the better, and in this particular case, for closing the achievement gap. But unfortunately, Kane does. Recall the article Kane authored and that the New York Daily News published, titled “Teachers Must Look in the Mirror,” in which Kane insults New York’s administrators, writing that the fact that 96% of teachers in New York were given the two highest ratings last year – “effective” or “highly effective” – was “a sure sign that principals have not been honest to date.” Enough said. The only thing with which I do agree with Kane as per this NPR interview is that we as an academic community can certainly do a better job of translating research into action, although I would add that only externally-reviewed published research is that which is worthy of actually turning into action, in practice. Hence, my repeated critiques of research studies on this blog, that are sometimes not even internally vetted or reviewed before being released to the public, and then the media, and then the masses as “truth.” Recall, for example, when the Chetty et al. studies (mentioned prior as also often cited by Kane) were cited in President Obama’s 2012 State of the Union address, regardless of the fact that the Chetty et al. studies had not even been internally reviewed by their sponsoring agency – the National Bureau of Education Research (NBER) – prior to their public release? This is also regardless of the fact that the federal government’s “What Works Clearinghouse”- also positioned in this NPR interview by Kane as the closest entity we have so far to an educational FDA – noted grave concerns about this study at the same time (as have others since; see, for example, here, here, here, and here). Now this IS bad practice, although on this, Kane is also guilty. To put it lightly, and in sum, I’m confused by Kane’s calls for such an external monitoring/quality entity akin to the FDA. While I could not agree more with his statement of need, as I also argued in my 2009 piece mentioned prior, it is because of educational academics like Kane that I have to continue to make such claims and calls for such monitoring and regulation. Reference: Amrein-Beardsley, A. (2009). Buyers be-aware: What you don’t know can hurt you. Educational Leadership, 67(3), 38-42. Last December in New Mexico, a Judge granted a preliminary injunction preventing consequences from being attached to the state’s teacher evaluation data as based on the state’s value-added model (VAM). More specifically, Judge David K. Thomson ruled that the state can proceed with “developing” and “improving” its teacher evaluation system, but the state is not to make any consequential decisions about New Mexico’s teachers using the data the state collects until the state (and/or others external to the state) can evidence to the court during another trial (which was set for April of 2016) that the system is reliable, valid, fair, uniform, and the like. See more details regarding Judge Thomson’s ruling in a previous post here: “Consequences Attached to VAMs Suspended Throughout New Mexico.” See more details about this specific lawsuit, sponsored by the American Federation of Teachers (AFT) New Mexico and the Albuquerque Teachers Federation (ATF), in a previous post here: “Lawsuit in New Mexico Challenging [the] State’s Teacher Evaluation System.” This is one of the cases on which I am continuing to serve as an expert witness. Yesterday, however, and given another state-level lawsuit that is also ongoing regarding the state’s teacher evaluation system, although this one is sponsored by the National Education Association (NEA), Judge Thomson (apparently along with Judge Francis Mathew) pushed both the AFT-NM/ATF and NEA trials back to October of 2016, yielding a six month delay for the AFT-NM/ATF hearing. This window of time is also to allow for the public forums needed to review the state’s new system, but also to allow time for “the acrimony to be resolved without trials.” The preliminary injunction granted by Judge Thomson in December, though, still remains in place. See also a related article, also published this morning, in the Albuquerque Journal. Stephanie Ly, president of the AFT-NM, said she is not happy with the trial being postponed. She called this a “stalling tactic” to give the [state] education department more time to compile student achievement data that the plaintiffs have been requesting. “We had no option but to agree because they are withholding data,” she said. “The Public Education Department and Secretary Skandera have once again willfully delayed the AFT NM/ATF lawsuit against the current value added model [VAM] evaluation system due to their purposeful refusal to reveal the data being used to evaluate our educators in New Mexico. “In addition to this stall tactic, and during a status hearing this morning in the First District Court, lawyers for the PED revealed that new rules and regulations were to be unveiled on March 15 by the PED, and would ‘rely heavily’ on VAM as a method of evaluation for educators. “New Mexico educators will not cease in our fight against the abusive policies of this administration. Allowing PED or districts to terminate employees based on VAM and student test scores is completely unacceptable, it is unacceptable to allow PED or districts to refuse licensure advancement based upon VAM scores, and it is unacceptable for PED or districts to place New Mexico educators on growth plans based on faulty data. “High-performing education systems have policies in place which respect and support their educators and use evaluations not as punitive measures but as opportunities for improvement. Educators, unions, and administrators should oversee the evaluation process to ensure it is thorough and of high quality, as well as fair and reliable. Educators, unions, and administrators should be involved in developing, implementing and monitoring the system to ensure it reflects good teaching well, that it operates effectively, that it is tied to useful learning opportunities for teachers, and that it produces valid results. “It is well known the PED is in a current state of crisis with several high-level staff members abandoning the Department, an on-going whistle-blower lawsuit…the failure to produce meaningful changes to education in New Mexico during her six years as Secretary, and Skandera’s constant changes to the rules is a desperate attempt to right a sinking ship,” said Ly and Bernstein. Tore Bernt Sørensen is a PhD student currently studying at the University of Bristol in England, he is an emerging global educational policy scholar, and he is a future colleague whom I am to meet this summer during an internationally-situated talk on VAMs. Just last week he released a paper published by Education International (Belgium) in which he discusses VAMs, and their use(s) globally. It is rare that I read or have the opportunities to write about what is happening with VAMs worldwide; hence, I am taking this opportunity to share with you all some of the global highlights from his article. I have also attached his article to this post here for those of you who want to give the full document a thorough read (see also the article’s full reference below). First is that the US is “leading” the world in terms of its adoption of VAMs as an educational policy tool. While I did know this prior given my prior attempts to explore what was happening in the universe of VAMs outside of the US, as per Sørensen, our nation’s ranking in this case is still in place. In fact, “in the US the use of VAM as a policy instrument to evaluate schools and teachers has been taken exceptionally far [emphasis added] in the last 5 years, [while] most other high-income countries remain [relatively more] cautious towards the use of VAM;” this, “as reflected in OECD [Organisation for Economic Co-operation and Development] reports on the [VAM] policy instrument” (p. 1). The second country most exceptionally using VAMs, so far, is England. Their national school inspection system in England, run by England’s Office for Standards in Education, Children’s Services and Skills (OFSTED), for example, now has VAM as its central standard and accountability indicator. agenda of evidence-based policy based on the [same] school effectiveness paradigm…[as it]…combines the centralised formulation of objectives and standards, and [the] monitoring of data, with the decentralisation to schools concerning decisions around how they seek to meet standards and maximise performance in their day-to-day running” (p. 5). “The Chilean education system has [also recently] been subject to one of the more radical variants of GERM and there is [now] an interest [also there] in calculating VAM scores for teachers” (p. 6). In Denmark and Sweden state authorities have begun to compare predicted versus actual performance of schools, not teachers, while taking into consideration “the contextual factors of parents’ educational background, gender, and student origin” (i.e, “context value added”) (p. 7). In Uganda and Delhi, in “partnership” with an England based, international school development company ARK, they are looking to gear up their data systems so they can run VAM trials and analyses to assess their schools’ effects, and also likely continue to scale up and out. The US-based World Bank is also backing such international moves, as is the US-based Pearson testing corporation via its Learning Curve Project, which is relying on the input from some of the most prominent VAM advocates including Eric Hanushek (see prior posts on Hanushek here and here) and Raj Chetty (see prior posts on Chetty here and here) to promote itself as a player in the universe of VAMs. This makes sense, “[c]onsidering Pearson’s aspirations to be a global education company… particularly in low-income countries” (p. 7). On that note, also as per Sørensen, “education systems in low-income countries might prove [most] vulnerable in the coming years as international donors and for-profit enterprises appear to be endorsing VAM as a means to raise school and teacher quality” in such educationally struggling nations (p. 2). 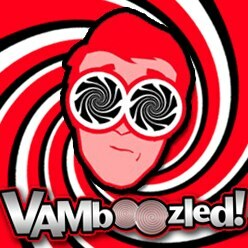 In short, “VAM, if it has any use at all, must expose the misleading use of statistical mumbo jumbo that effectively #VAMboozles [thanks for the shout out!!] teachers, schools and society. This could help to spark some much needed reflection on the basic propositions of school effectiveness, the negative effects of putting too much trust in numbers, and lead us to start holding policy-makers to account for their misuse of data in policy formation.